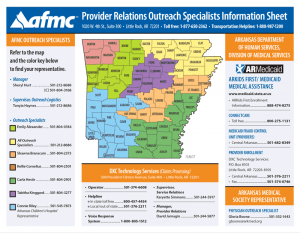 AFMC’s provider relations outreach specialists serve as the link between health care providers and Arkansas Medicaid. 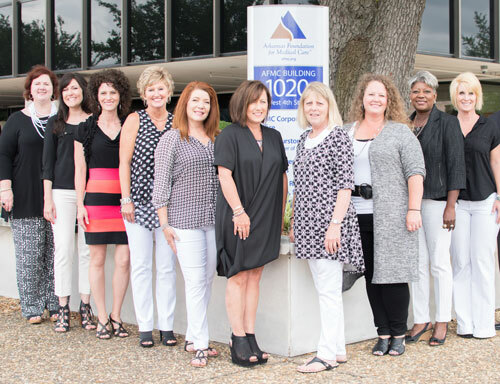 They help providers navigate the Medicaid system, updating providers on policy and procedures as well as providing tools to better assist in the care of patients. During the visits, the outreach specialists offer feedback and educational tools as needed to help providers implement quality utilization and improvement. An EOC is the bundle of Arkansas Medicaid-covered health care services provided to treat a particular condition. EOCs are based on data from paid claims and data submitted through the Advanced Health Information Network (AHIN), which is the provider portal for quality metrics. Providers continue to submit claims and are reimbursed according to the established fee schedule. A principal accountable provider is identified for each episode and they are considered the provider who has the greatest potential to influence treatment decisions, cost, and quality of care.